Can You Install Automatic Starters on Manual Transmission Vehicles? Can you use automatic car starters with manual transmissions? This is one of the most common questions we get about remote car starters. The simple answer is yes; you can install remote starters for manual stick-shift vehicles. But it is more complicated than installing remote starters for automatic cars. And there are certain factors to consider when deciding if this installation is practical for you. Here’s a look at what you need to know when considering automatic car starters for your manual vehicle. Safety is the biggest concern when it comes to installing remote starters on manual transmissions. Most manual-transmission vehicles use a mechanical shift linkage that doesn’t have a wired sensor for remote starters to verify that a car is in neutral gear. So, without the proper precautions, a remote car starter could theoretically start a manual car that doesn’t have the emergency brake engaged and isn’t in neutral gear. And that car could start moving on its own, posing the risk of endangering other vehicles, pedestrians, and your car. There is also the issue of the clutch interlock. 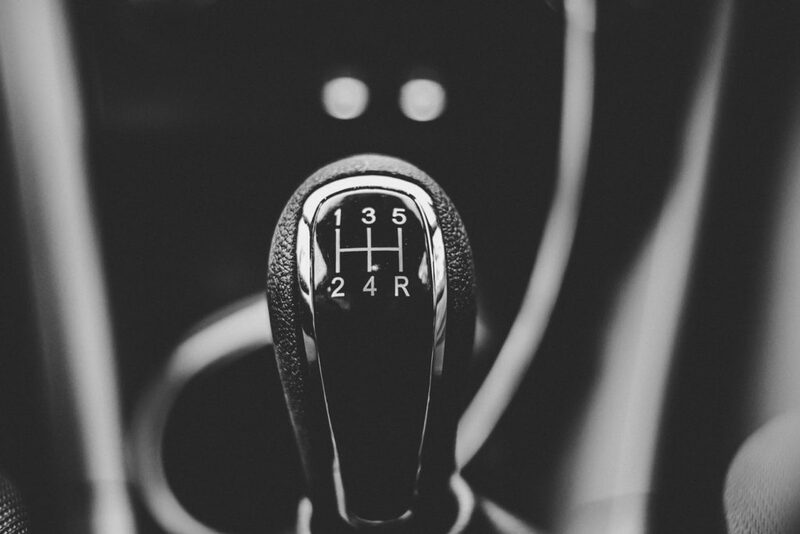 With manual cars, you need to press on the clutch pedal to disable the interlock. Verify that the parking brake is activated. A combination of proper installation and following steps each time you use your car can ensure your automatic car starter will work on your manual vehicle. To disable the clutch interlock, a skilled technician will wire the remote starter to the clutch interlock. This bypasses the need to step on the clutch pedal to disable the interlock. Thus, when you press the start button on your remote car starter, this device will disable the interlock before activating the starter. The device can also be wired to the parking brake switch to sense whether or not the parking brake is engaged. If it is not engaged, then the car won’t start. There is a multi-step solution to ensure your car is in neutral when you park, avoiding the risk of having it in gear when you start the vehicle. The remote starter will be wired to your door switches and change the way you shut down your car. When you’re ready to park after driving, shift into neutral gear and engage the parking brake. Turn off the ignition and remove the keys. The engine will continue to run until you exit the car and shut the door. If someone opens the car door before you start your car again, then the remote car starter won’t be able to start your vehicle. This safety measure ensures that no one has put the car back in gear before you use your automatic starter. You may also not be able to leave your windows open with this safety feature. So if the car door is opened and activates this safety feature, you’ll have to follow the same multi-step solution above to use your remote starter again—i.e., put your car in neutral and activate the emergency brake before turning off your car, exiting, and closing the door. However, you may not be able to use this multi-step solution if you have a convertible. Before you install your remote starter, do your research to make sure you get a quality starter installed by a skilled professional. Remote car starters range in price from about $50 to $200. Starters vary in distance capabilities, so make sure to consider the distance when choosing a starter. You don’t want one that won’t be able to start your car from your home to your parking spot. You also want to make sure your starter works with your car components and has the right features for you. When researching remote starter installation, double-check that the installation costs cover everything, especially if you need a bypass module installed. Bypass modules are used to bypass anti-theft modules in vehicles. Along with anti-theft modules and convertibles, other issues unique to your vehicle might make it tricky to install an automatic remote starter. For example, some manual vehicles will only allow the key to be removed when the transmission is in reverse. So your best bet is to leave the installation to the pros. Installing automatic car starters can be more difficult on some manual vehicles than on others. But professional, skilled technicians can find a safe way to work around the manual system. So before deciding on a remote car starter, consult with the pros to see what options are available for your vehicle. While automatic car starters on manual vehicles are more complicated than with automatic vehicles, it is still possible to have one installed. Even if you drive a stick shift, you can still have the comfort and convenience of starting and warming up your car from inside your home or office on a cold winter day.